Sometimes Mother’s Day is tough. Being a mom isn’t always fun, some days it’s just hard. Unfortunately, some of those hard days or seasons may fall on or around Mother’s Day. I know they have for me. I’ve had a Mother’s Day or two that I faced with dread. I’ve been in the trenches, battling for the well-being of my children, struggling to hold my ground as the parent when a child was trying to take over and show me who they thought was really the boss. I’ve had a Mother’s Day or two where I fought with a child over disobedience or disrespect and had to wake up on this special day questioning my parenting skills. Wondering where I was going wrong. Playing over and over in my head the strong words that were exchanged a mere 24 hours earlier in my home. If you look at social media today, you’ll only see the good stuff. It’s easy to look and compare and envy and wonder why your child would rather be somewhere else. Why these other families seem to have it all together. It’s easy to question if you’ve been left out of those parenting classes that your friends on social media obviously attended. Moms, don’t fall for it! Don’t let yourself tumble into the trench and spend your energy questioning what you are doing wrong. Just don’t. At least not on Mother’s Day. Parenting is hard, beautiful, messy and sometimes even a breeze! It can be rewarding and exhausting all at the same time. Especially during times of adolescence for your children, or those high school years where they are trying to find their own way, and for those of us who were “gifted” with a strong willed child, well…it can be hard, beautiful messy and a breeze all within 5 minutes of any given day!! Have you ever wanted to give it up? To tell that pre-teen to stop threatening to move out and just get on with it? Does it ever look easier to let that 14 or 15 year old just GO ON and be someone else’s child to raise because you’ve “done all you can” and you’re just over it! We were there at my house. 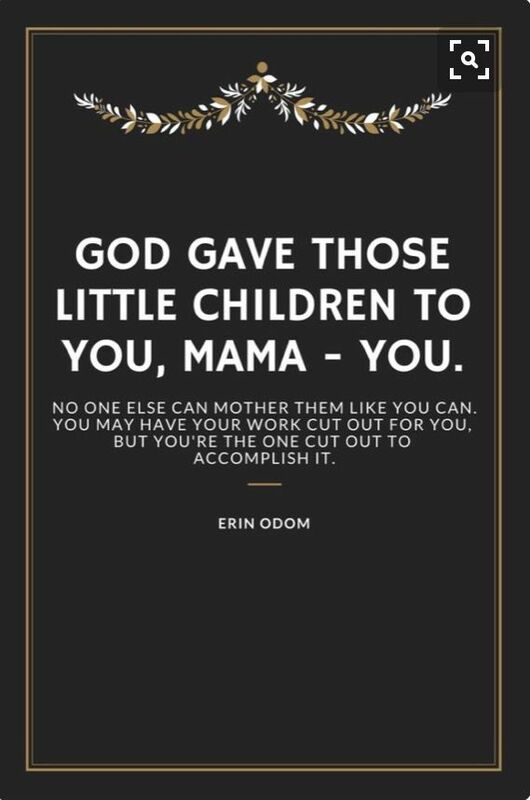 I’m telling you, parenting a strong headed child is exhausting and after so many years with everything seeming to be a battle, it would have been much easier on our family to just let the child go! But…that’s not what a mom is called to do is it? We’re given this child to raise and unless they walk out on their own, we need to be in the business of hanging on, of persevering, of sticking it out. Moms, your worth is not found in how well your child is behaving. Your value as a mother is not to be judged on the basis of whether your kid likes you on any given day. Your worth is found in who YOU belong too. In being a child of God. Think of it this way…as God’s children…If He looked on us and judged His own worth based on our actions, where would He be? What kind of self-esteem would He have. What kind of father do you think He’d think He was? We are to love our children unconditionally, guide them towards what is right and good and keep on loving them no matter how they respond to our efforts. Isn’t this what God does with us? His worth is based on who He is. Our worth is based on whose we are. Nothing else. Being a mother is a blessing, even when it doesn’t feel like it. This is where we find our joy on Mother’s Day moms! In that He hung this title on us, on purpose, for a purpose. Yes, if your children are around, celebrate. Celebrate big! But don’t let what took place the day before wrap you in a wet blanket. And if your children are not around, celebrate you! Do something you enjoy. Eat the cake. Drink the coffee. Take the long walk. Talk to Jesus about what’s on your heart and soak up the rest that only He can offer. Our job is a privilege and children are a blessing…even if it some days it doesn’t feel like it. Enjoy your day moms, it’s all yours!